2015 Cadillac Escalade FULLY EQUIPPED!!! 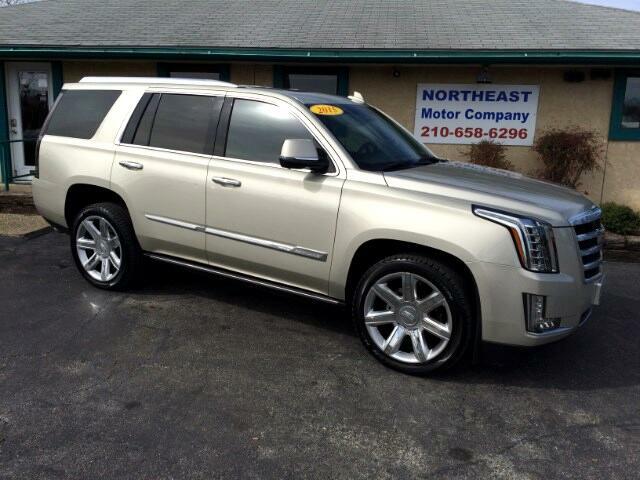 Our 2015 Escalade is as stylish as it is elegant, and it's loaded with all of the features you long for. Equipped with Navigation, Heads-up Display, Rear DVD Entertainment, Power Folding Third Row Seats, Rear Captain Seats, Blind Spot Monitoring, Cross Traffic Alert, Lane Departure Warning, Collision Detection, Adaptive Cruise Control, Backup Camera, Around View Camera System, Bluetooth, BOSE Premium Audio, Sunroof, Power Adjustable Pedals, Auxiliary Audio Input with USB Interface, Steering Wheel Mounted Audio Controls, Power Telescopic Tilt Steering Wheel, Power Adjustable Front Seats with Memory Seat Position Recall, Heated and Ventilated Front Seats with Heated Rear Seats, Heated Steering Wheel, Remote Start, Keyless Entry, Push Button Starting, Power Rear Lift Gate, On Star, Homelink, Power Folding Running Boards, Aluminum Alloy Wheels, Wireless Cell Phone Charger, Sonar Parking Assist, Illuminated Door Sill Plates, and MORE!!! Call or come out today to inquire about our easy financing options and many available extended warranties. We Finance! !